​If you look at ​Albert Pujols' Baseball Reference page you'll see that his birth date is January 16, 1980, making him 38 years old. Well, just like it was back in 2011 when the ​greatest right-handed hitter of our generation was a free agent, there's reason to believe that Pujols is actually a couple years older. More than reason, in fact. His own repeated words. 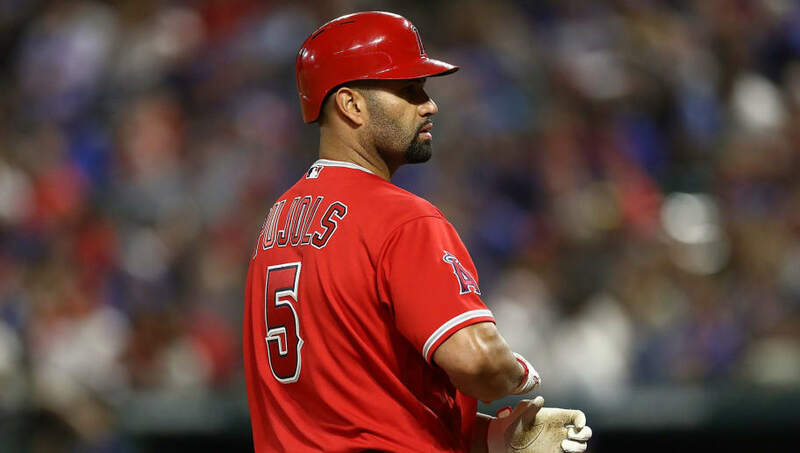 In the first episode of the Yahoo Sports MLB Podcast with Tim Brown, Jeff Passan and Mike Oz, Pujols was asked to tell the story about his first over-the-fence home run, which happened to come off former MLB pitcher Octavio Dotel. The Yahoo Sports MLB podcast is here! The first guest to join @mikeoz, @JeffPassan & @TBrownYahoo? Albert Pujols! The future Hall of Famer has over 600 homers to his name, but he still remembers the first time he went yard. Pujols continued to talk about this incredible memory and said something that really makes you believe he's a couple years older than recorded. ​​Hmm. Let's go through this timeline. 28 year ago would make it 1990. If Pujols was born in 1980, which is what every public record says, then that would make him around 10 years old, not 12 or 13. He then, of course, doubled down, saying that Dotel is "three or four" years older than he is. Dotel is 44. Seems like Pujols, in the interest of opening up late in his career, simply pulled the curtain down on things he'd previously claimed. Look, people can get in the heat of the moment telling a story, and sometimes dates and ages can be wrong. But he didn't tell the story like he couldn't remember it clearly, and we are talking about two or three years difference, not just one. I don't blame Pujols for lying about his age (if it's true), especially when you consider his circumstances as a younger man, but it certainly puts his career into better perspective and can actually make you understand why the last couple of years have seen his numbers dip dramatically.